“Cigarette production and consumption have seen dramatic growth in recent decades and although the health effects of smoking are widely recognized, its impacts on the environment are largely overlooked”, the authors of a new World Health Organization report argue, which is titled Cigarette Smoking: An Assessment of Tobacco’s Global Environmental Footprint Across Its Entire Supply Chain (pdf). The report explicitly takes a supply chain perspective: “From tobacco cultivation and curing, to cigarette manufacturing, distribution, consumption and discarding, every stage in the global tobacco supply chain involves considerable resource inputs, and results in the production of wastes and emissions. Consequently, tobacco puts pressure on the planet’s already stressed natural resources and its fragile ecosystems, threatening the livelihoods and future development of communities around the world.” What I learned from the report is that “tobacco’s total environmental footprint is comparable to that of entire countries and its production is often more environmentally damaging than that of essential commodities such as food crops”. New research published in Science (Poore & Nemecek, 2018) analyzes land use in food supply chains. An astounding 3.1 billion ha reduction in land use could be possible by excluding animal products from current diets. 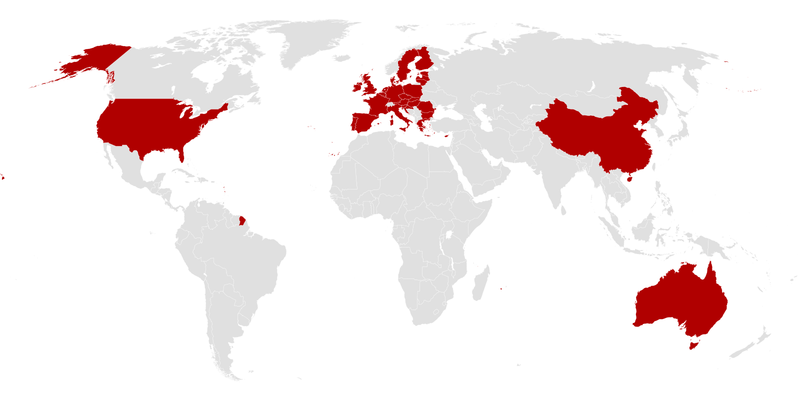 That is an area equivalent to Australia + China + European Union + United States. The author also shows that animal products use about 83% of the world’s farmland and contribute about 57% of food’s different emissions, despite providing only 18% of our calories. These findings demonstrate that we need to shift from “company thinking” to “supply chain thinking” if we want to see the full picture. More than many other management disciplines, SCM has been very successful to professionalize and reinvent itself. A good indication for this development are the 2017 JCR journal impact factors, which have just been released. Many, although not all, impact factors of SCM journals have improved. The journal with the highest impact factor among SCM journals and the seventh-highest one among more than 200 management journals is Journal of Supply Chain Management (6.105). Three SCM journals have impact factors between 4 and 5: Journal of Operations Management (4.899), International Journal of Production Economics (4.407) and International Journal of Physical Distribution & Logistics Management (4.215). IJPDLM is now even the Emerald journal with the highest impact factor, which is a great achievement! Two other SCM journals range between 3 and 4: Supply Chain Management: An International Journal (3.833) and Journal of Purchasing & Supply Management (3.667), but International Journal of Operations & Production Management (2.955) and Journal of Business Logistics (2.891) also come close to 3. Both International Journal of Logistics Management (1.776) and Decision Sciences (1.641) were able to improve their impact factors and get closer to 2. It might take some time until our journals will finally be acknowledged by qualitative rankings such as CABS’s AJG and VHB-JOURQUAL, as such rankings tend to be quite conservative. However, with such high impact factors there should be no doubt anymore that SCM plays in the same league as accounting, marketing and finance.